Buy 1 - 7 for $50.45 ea. Buy 8+ for $45.45 ea. 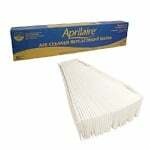 The Aprilaire 413 replacement air filter media gives users great indoor air purification performance. 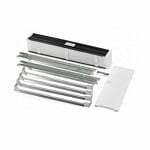 The accordion style filter media is self-seating and spacing for easy installation. In addition to being rated MERV 13 for the reduction of 75% of virus-sized particles and over 90% of dust-sized particles. 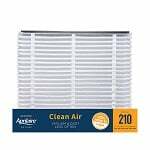 It effectively reduces fungi, pet dander and other airborne allergens. The patented SelfSeal technology greatly reduces air bypass so more air hits the filter before being circulated. Improving your home air quality can help you breathe better and suffer from allergies less. The Aprilaire 413 works with Spacegard 3310 and 4400 air cleaner models, as well as the Aprilaire 2400, 2410 that requires the Aprilaire 1413 upgrade kit. Replacing an air filter at regular intervals can help alleviate many common household air quality problems. It is recommended that the 413 be replaced every 6-12 months for superb performance and efficiency. 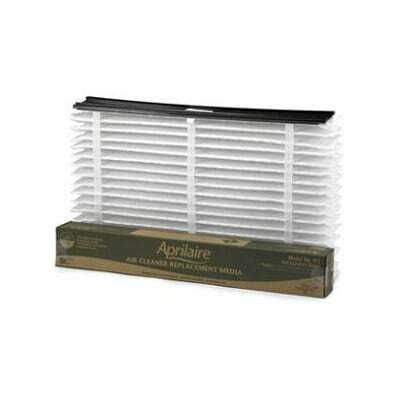 This is a genuine Aprilaire replacement filter (note the correct spelling is Aprilaire, and not April Air, April Aire or Aprilair).